Aden Young was born in 1972 in Toronto, Ontario, Canada where he spent most of his childhood days. Aden’s mother is a nurse from Newcastle, Australia. 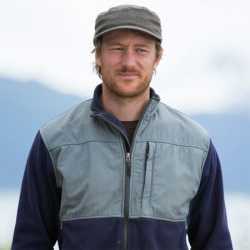 His father Chip Young is a prominent CBC Broadcaster. Therefore, Young was very much into acting and directing from his childhood. Aden along with his family left Toronto for Australia in 1981. Young went on to attended Galston High for a few years and then to Australian Theatre For Young People. Young went on to pursue his acting career and received the role of Daniel in the 1991 film, Black Robe. He then grabbed many roles in movies like Over The Hill, Sniper, Love in Limbo, Broken Highway, Shotgun wedding, Exile, River Street, Hotel de Love, Paradise Road, The War Bride, The Crocodile Hunter: Collision Course, Lucky Country, Mao’s Last Dancer, Beneath Hill 60, Killer Elite, Beneath Hill 60, I, Frankenstein as Dr. Victor Frankenstein. Young has also acted in many TV series. His first role in a television series was in 2003’s After the Delude as Young Cliff, alongside Emily Browning, Aden Young, Essie Davis, and many others. Young went on to be seen as The Starter Wife as character Jorge Stewart. He has been seen in 6 of its episodes. He has been seen on 2 episodes of East-West 101 as character Kendrick, 4 episodes of The Code as character Randall Keats. Most of all, Young is noted for his role Daniel Holden in Rectify. Moreover, He has been seen on 22 of its episodes. Young has directed many short films and movie, some of which are The Order in 1998, The Rose of Ba Ziz in 2007, Kalaupapa heaven in 2009 and Waste Not in 2011. Young's latest movie was Don't Tell, which was released in 2017. He was cast along with Jacqueline McKenzie, Aden Young, and many others. Similarly, his latest short movie was Angelique's Isle, and Elsewhere. 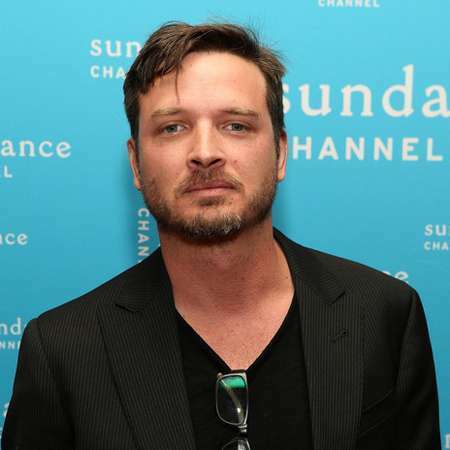 Aden Young’s latest movie was ‘The Unseen’ playing the role of Bob Longmore which was released in 2015 along with a Television series ‘The Principal’ in which he portrayed Adam Bilic in 3 of the episodes. As of 2019, Young exact net worth has not revealed yet, however, as per some notable sources, his net worth is $8 million. Furthermore, Young has received many award nominations for his acting skills such as a Critics' Choice Television Award for Best Actor in a Drama Series Nomination for his exceptional role in Rectify, Satellite Award for Best Actor – Television Series Drama Nomination also for Rectify, an Australian Film Institute Awards Nomination for Best Actor in a Lead Role for his appearance in the movie, River Street, also an Australian Film Institute Awards Nomination for Best Actor in a Lead Role for the film, Metal Skin. Young has deservingly won an Australian Film Critics Circle Award for Best Actor for his performance on Metal Skin. Aden is currently a married man. After a few affairs, Young met his wife, Leone Carmen. Leone Carmen who is dubbed as Lo Carmen is a prominent Australian singer, songwriter, musician and actress. They met while Young was directing a music video for Carmen. The couple got married in 2014 in Zebulon, Georgia. They have two children named Dutch and Chester. The couple has not had any reported disputes till date and is living happily together with their children.